After having the opportunity to check out some of Tallgrass Brewing's terrific beers, I arranged with their marketing department to run a fun little contest. And I know how you love my contests! This one is going to be a little different though. 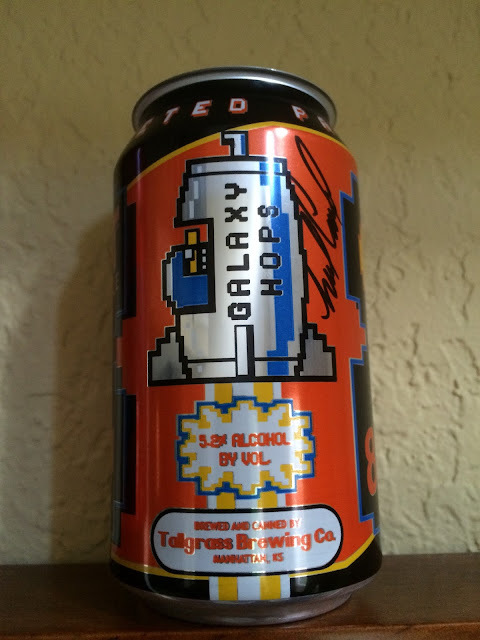 Yes, the artist did sign his work, but this brewery cans its beers, so there are no labels, just actual unused signed cans with the art on them! Before working full-time for Tallgrass, Artist Neil Camera was making a name for himself as one of the lead designers for the Topps' Garbage Pail Kids series and as an illustrator for Bazooka Joe cartoons. He is a well-known as a cartoonist by his peers and fans, so I think it's totally cool that we can do this. I found this super-ancient website to be a fun source of a lot of Neil's art as well. 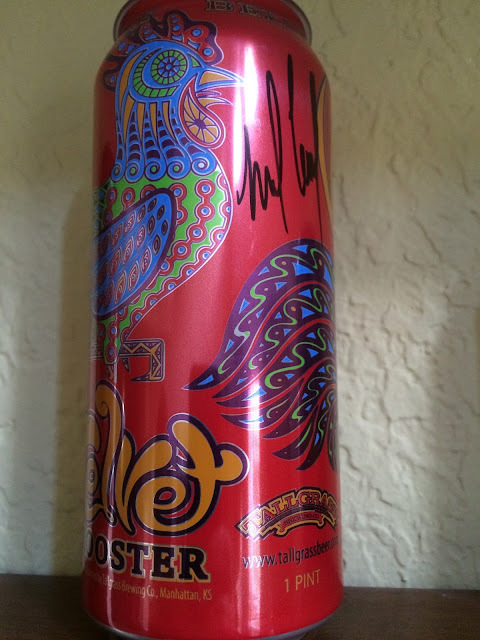 I have three different signed can designs, thus three prizes. You make this a great contest and I'll push for future follow ups! Between now and midnight (whatever time zone you're in) on next Sunday 9/27/2015, answer at least three of the five questions below. I prefer you leave a comment but will not deduct points if you email answers to me at DailyBeerReview@Yahoo.com. However, don't think emailing me makes your answers anonymous--I will publish them with your name in the comments for you. When you answer the questions, if you don't give me a way to contact you back, you lose no matter how awesome your answers are. The questions are pretty much opinions, so don't copy the answer above yours. You can enter more than once if you'd like as well, but your answers must be unique. I will choose three winners based on creativity, following instructions, just fun, well-thought-out answers to open-ended questions. Since the three prizes are different, I will let the first place person choose first, etc. If you don't reply back to me in a reasonable amount of time (which I determine), you also lose. Anything else I forgot, I'll make up new rules along the way. And I'll pick the winners within a day or two of the contest end. 1. 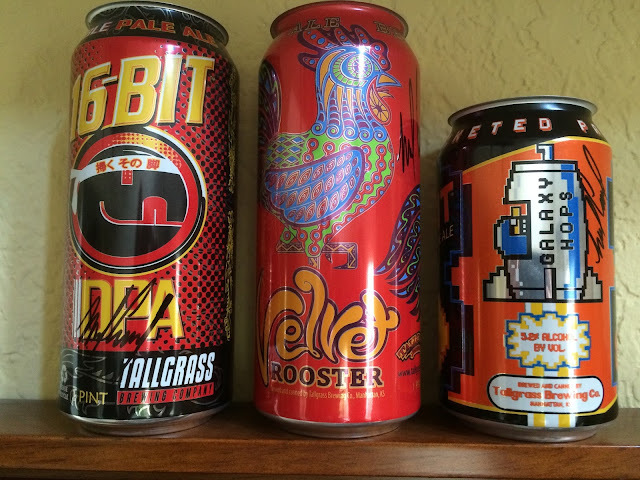 Start by reviewing Tallgrass Brewing's beers: Core, Seasonal, and their new Explorer Series. What is your favorite label and why? If you can't pick one, tell me about two. 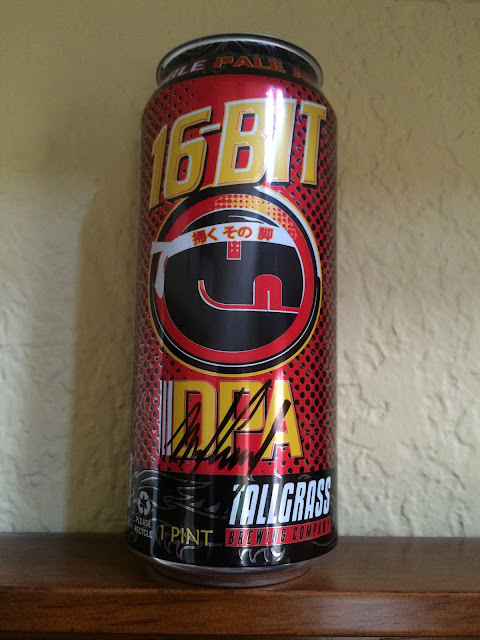 (Obviously your answer doesn't need to be one of the three signed cans from this contest). 2. Use Google and find one interesting fact about Neil Camera that I didn't specifically tell you above. 3. Name one or two interesting facts about Tallgrass Brewing. There are plenty of recent fun and newsworthy things going on in Kansas! 4. Besides the art on the actual cans, Neil Camera also needs to work on other supporting designs for their products. Find one you like and tell me why. Here's a softball tip--go to their Facebook page. 5. Name a new beer that Tallgrass should (according to you) put in their new specialty Explorer Series. Besides suggesting just a name, you need to describe the style and/or expectations for future drinkers! The End. Hope you win one of these unique, one-of-a-kind prizes! Thanks to Tallgrass and Neil for their efforts as well!